The latest i30 is designed to take on the likes of the Volkswagen Golf, Vauxhall Astra and Skoda Octavia. How does it measure up next to these family hatchback masters? The i30 is not short on appeal. It looks smart, it’s comfortable, well-equipped, spacious, attractively priced, and comes with the reassurance of a five-year warranty. Unfortunately, it’s far from the real deal, and we could probably reel off the names of at least half a dozen rivals that do almost everything the i30 does, and a whole lot more besides. If you think because the i30 looks like a VW Golf, it must behave and feel like a Golf, think again. The i30 is certainly well named: the last time we checked, there were around 30 different family sized hatchbacks from myriad manufacturers vying for your custom. Of course, the acknowledged master of the genre is the Volkswagen Golf, which incidentally gets cosmetic tweaks and more-powerful, more-efficient engines in the not too distant future. No doubt, this goes a long way to explaining why the latest i30 has been re-styled to look as much like its Germanic rival as possible. Gone are the previous i30’s organic side swathes and extravagant gaping grille, and in come regimented geometric lines and a more conservatively dimensioned front end. Under the skin, Hyundai claims additional body strengthening and re-tuning of the suspension have increased comfort, sharpened handling, and reduced road noise. 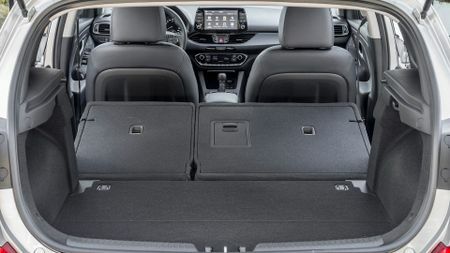 The i30 also comes with stacks of safety kit, including autonomous emergency braking, driver attention alert, adaptive cruise control, blindspot detection, lane-keep assist, rear-cross traffic alert and traffic-sign recognition. Don’t go thinking Hyundai has gone all charitable on us just for the good of our health, though, as most of these features are now required by EuroNCAP to ensure a five-star crash test rating. Inside, there have been wholesale changes, including a new horizontally-focused dashboard layout dominated in top-end SE Nav cars by a thumping-great 8-inch high-definition touch-screen to control all the infotainment menus. These include Bluetooth and an integrated rear-view camera TomTom sat-nav, and Apple CarPlay/Android Auto. The engine line-up starts with a 1.0-litre, three-cylinder, turbocharged petrol unit, which is also found in the i20 supermini. 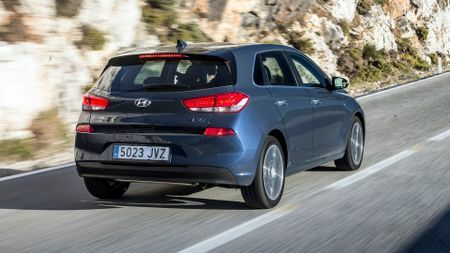 It’s only available with a six-speed manual gearbox and is used to power the entry models, but it clearly stands out as the sweet point in the i30 range. More on this later. There’s also a 110bhp 1.6-litre diesel engine, which because of its low emissions and taxation implications will clearly be of interest to business types. This said, Hyundai has reserved the big fanfare for its all-new, 1.4-litre turbocharged petrol engine, which can be specified with a 7-speed dual clutch automatic transmission. That’s the puppy we are concentrating on here. Unfortunately, the quality of the materials used in the i30’s cabin goes a long way to undermining its credentials as a credible Golf rival. The steering wheel is probably the first thing to set alarm bells ringing. Moulded and trimmed from some pretty basic materials and punctuated by switches that look and feel like they’ve been purloined from a discount electrical warehouse, the overall feel and appearance falls way short of the kinetic work of art that lies at the heart of a Golf. What’s more, while we’re prepared to forgive the scratchy quality of some parts of the dashboard – after all, who regularly strokes and purrs over a dashboard top? – the plastic panels on the door handles look as if they’ve missed a couple of stops on the production line finishing shop. Although the seats are comfortable, they do lack some support, and because our top-end test car was fitted with skiddy leather, we ended up giving them an extra bit of polish every time we came across a tight corner. At least there’s a decent amount of space inside. 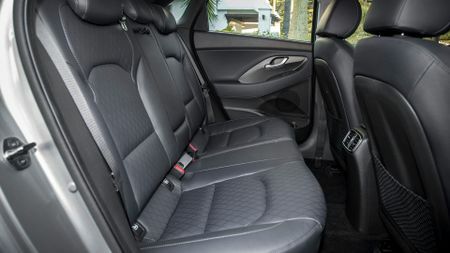 Even without the benefit of a tape measure, we’d be willing to bet the i30 matches the vast majority of its rivals to the millimetre for interior space. At 395 litres, the boot does win the bragging rights over a Golf, but if your priority is load-carrying potential you’d be a better off with a Skoda Octavia. Just as with its interior dimensions, the i30 is bang on the class norm for weight, but feels a whole lot heavier. Much of this is down to the way the electric steering is tuned. Using great slugs of weight to suggest feel is an old trick employed by many manufactures, but inevitably what you end up with is a highly synthetic connection and very limited feedback from the front wheels. The i30 is no exception to this universal con. No doubt the feeling of lethargy is also compounded by the comfort-orientated suspension and the varying amount of weight hung over the i30’s front wheels. Effectively, the heavier the engine, the slower the i30 reacts, and this explains why the hefty diesel-engined car feels so sluggish, and explains why the lightweight 1.0-litre three-cylinder motor is the sweetest driving i30. The new 1.4-litre, turbo powered car ploughs the middle ground in terms of dynamics and to be fair, it’s a pretty tidy engine, pulling strongly away from the mark and delivering a decent amount of mid-range pull. It does get a bit thrashy towards the top end of the rev range, but because the 7-speed transmission is so intent on quick-shifting through the gears, seldom is the engine allowed to stray above its comfort zone. This is all well and good for fuel consumption and noise reduction, but the gearbox can all too often be caught out in general driving conditions. On more than one occasion we found ourselves stuck in too high a gear with limited access to acceleration when trying to coax our way onto busy roundabouts. Regardless of powertrain, get the i30 heading down a motorway and its cushy suspension really comes into its own. It feels relaxed, securely planted and exceptionally comfortable. Unfortunately, it’s not as snug as it is comfortable. Quite possibly, the door seals on our test car were poorly fitted – the driver’s door took several attempts to close – but we were quite surprised by the high levels of wind-noise in the cabin at 70mph. 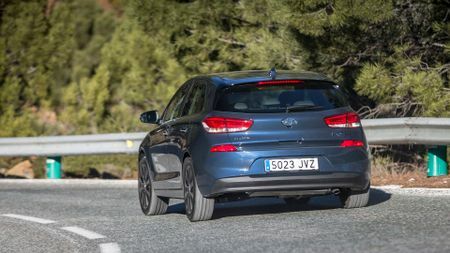 The i30 is a pretty decent all-rounder, but in a class full of excellence, decent just isn’t going to cut it. Given the right road, Hyundai’s hatchback is a comfortable companion, and the 1.4-litre engine is relatively smooth and flexible. 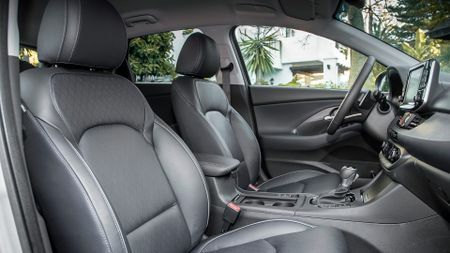 All are well-kitted, and if you don’t need the convenience of an automatic gearbox, the cheapest 1.0-litre manual cars appear to be the pick of the range. Certainly it stands head and shoulders above the sluggish diesel engine cars. 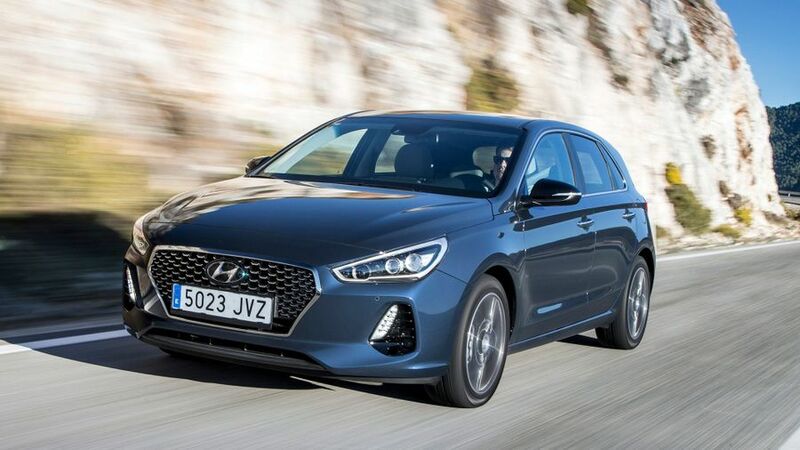 Still, the i30 should prove painless to own and in the unlikely circumstance that something was to go wrong, everything is covered by Hyundai’s comprehensive five-year warranty. Trouble is, there are a host of motors in this ridiculously completive class that do everything the i30 does and a whole lot more besides. The Octavia is one of our favourite family hatchbacks. It provides lots of space, quality, and kit for a very affordable price. An excellent all-rounder. The Vauxhall Astra is one of the mainstays of the small family hatchback class, for good reason. Great to drive or be driven in, it has everything it takes to compete with the Volkswagen Golf and Ford Focus. 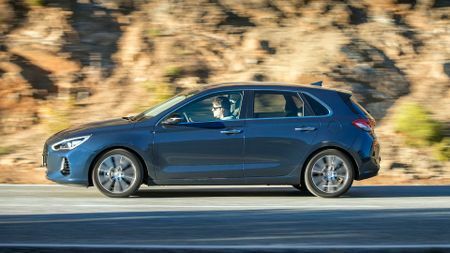 If you don’t already know the Volkswagen Golf is a high-class family hatchback, you’ve probably been living under a rock for the past few decades. It also just happens to be one of the finest cars of its type ever made. A true legend.